I am in LOVE with Missio products!! Their conditioner has saved my hair! As soon as that conditioner hit my hair in the shower, it was like magic. My hair felt like it did back when I was four years old. This is the first time in my life that I don’t have to use detangling products when I get out of the shower. I love the shampoo as well. I can now go 3-4 days without washing my hair and it still looks clean, bouncy and literally perfect! I can’t get over how fabulous these products really are! "MISSIO Products are AMAZING!!! My hair has never looked or felt this healthy before. I absolutely love how they smell and to top it all off, they help to fight human trafficking. I love knowing that I am making a difference in the world by choosing these products!" I love the uniqueness of the Coconut Cleansing powder, as it stands apart from the vast array of texture products out! It is different from other powders on the market, as it doesn’t add the sand & grit feel, but gently absorbs the oil (especially around hairline/fringe area) to add complete softness. The smell is refreshing & your hair feels simply, CLEAN! 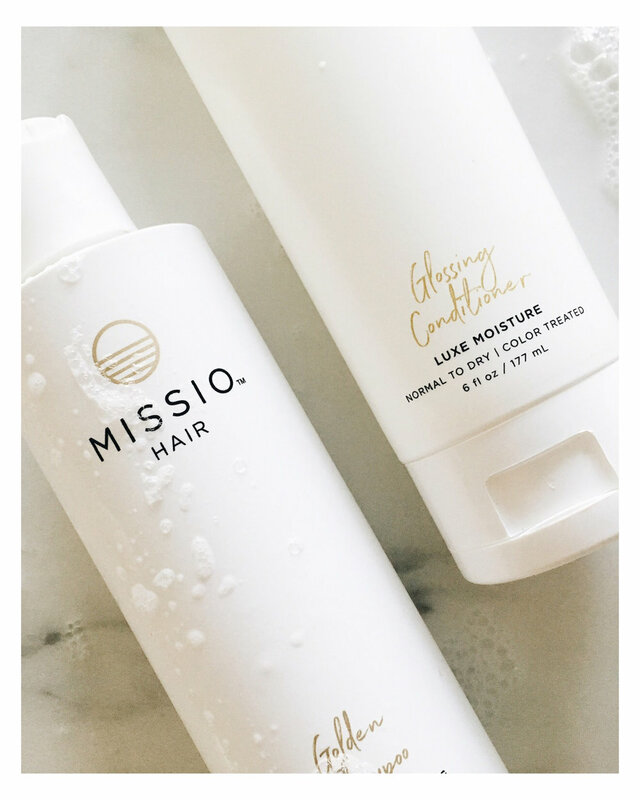 I absolutely cannot live without the Missio Glossing Conditioner! I've gotten so many compliments on how shiny my hair is since I started using it and it smells amazing. I even use it as a leave-in conditioner when my hair feels like it needs a little extra TLC. This product is truly a game changer! As a woman who has incredibly thick, wavy hair, I have the hardest time finding a shampoo that meets my specific needs! Some shampoos weigh my hair down so much that it looks flat and greasy; others are so drying that its left looking puffy and unattractive. This shampoo works in a way that makes my hair look incredibly smooth, with just the right amount of weight. Also, it was so nourishing that I literally forgot to use conditioner! Conditioner has never been something I could go without until now! I am in love with this new Missio shampoo! to inspire a movement of difference makers who use beauty to restore hope and fight human trafficking.